Goal Setting for Students… School can provide us with a lot of challenges and setbacks when we’re trying to reach our educational goals. Sometimes it’s hard to remain positive when there’s a long road ahead, or we don’t do as well as we had hoped. As a result, over time, we can lose focus and think it just doesn’t matter that much anyhow, so why even bother. But if we begin thinking this way, we run the risk of getting down on ourselves and possibly even depressed; making the situation much worse than it originally was. Plus, it makes school a real bummer when it has the potential to be super fun, rewarding, and interesting. While, yes, the truth is that it may take some time to reach your goal, that doesn’t mean we can’t have some fun on this cool new journey. In her book, Empower Your Girl, Melinda Rae helps us better understand goal setting for students and says that first “to begin your journey, you must believe.” Once you believe in yourself and accept the situation, the rest is a piece-o-cake. Good Question! A stepping Stone is something or some process you must complete in order for you to achieve your main goal. So let’s say, for example, your goal is to graduate from high school (great goal by the way). In this situation, a stepping stone would be a math or science class (like algebra or biology) you must take in order to graduate and get your diploma. 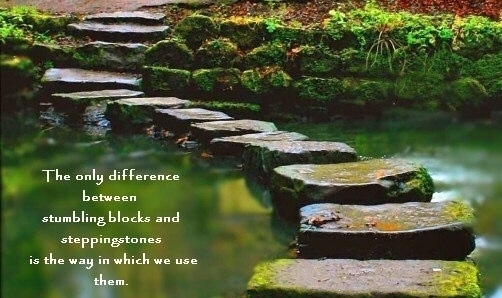 How Do Stepping Stones Help Me? Overall, It’s a great mindset to have in goal setting for students because stepping stones help us shift our focus and thoughts from the ‘big picture’ (scary) to the ‘little picture’ (not so scary). As a result, it helps us notice our accomplishments along the way and see how far we’ve come—giving us a rewarding feeling of success and self-confidence. You know. It’s the same kind of feeling we get when we finish all our homework on Friday afternoon and then have the whole weekend to relax and have fun; that kind of accomplishment—it’s a pretty good feeling, huh? So, instead of focusing on the fact that you may have three more years until you graduate (big picture), try your best to focus all your attention on the classes you’re taking right now (little picture). If we think of the journey like this, it keeps us thinking positive and upbeat rather than negative and discouraged. All you need to do is believe in your ability to make it through and reach your goal. We know you’ll reach your goal one day. 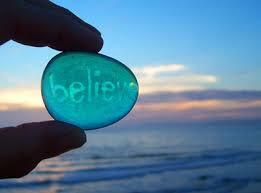 We believe in you. It’s only a matter of time before you get there. We got your back! In her book, Melinda says that “once you accept your role in whatever position you are finding yourself in you will gain the control you desire.” The control you gain through acceptance will help guide you out of the situation because you’re free from items holding you back: fear, worry, and blame. Unfortunately, in goal setting for students there are situations we have no control over. But if this is the case, you know what the first step is? That’s right, acceptance! You know what the second step is? You got it, belief! You sure catch on quickly. If you keep these two things in your back pocket there isn’t anything you can’t do or achieve. So, have fun on your new journey. We’ll be thinking about you. We believe in you and know you’ll make it through.